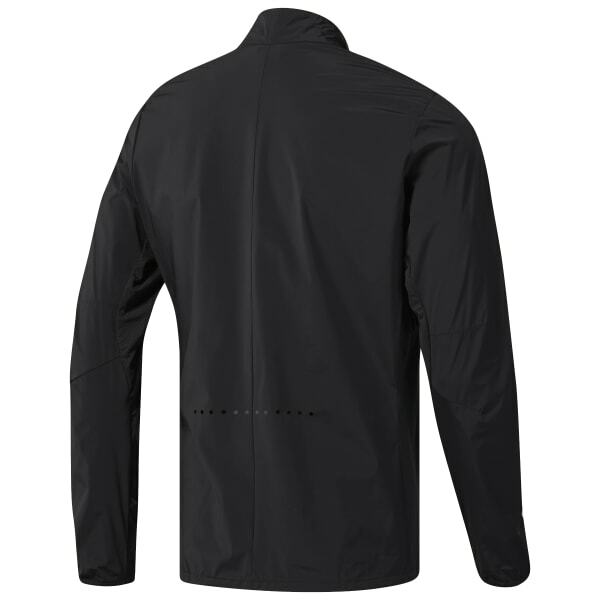 Turn to this Running Competition Elite men's jacket for a go-to workout layer. Zip, bungee, stash, and hit the ground running. Mesh underarm panels breathe when things start to get heated. An adjustable bungee at the waist locks down the fit. Reflective elements at the back keep you visible.